How do you prep your lips before applying lipstick? Most people would say: “I don’t”. But we want to argue that you should! It’ll keep your lips healthy and make the colour last longer. This is the four-step ritual you need! Always start with a lip scrub to remove dry skin. This prevents your lipstick from looking patchy or flaky later on. You can even make your own scrub. Just mix sugar and honey in a bowl, then rub it into your lips. Finish by wiping it off with a dry cloth. The dead skin is gone! Now, it’s time to add some moisture. Our long-time favourite, Tender Care, is great to get your lips back in tip top shape. 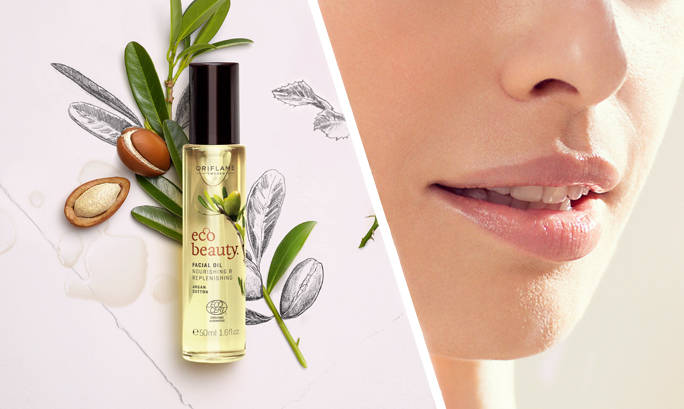 Many beauty experts also swear by facial oil – so you can always try the organically sourced EcoBeauty Facial Oil for naturally soft lips. Once your lips are prepped to perfection, you’ll want to lay the groundwork for your colour. A lip primer is great to prevent fading and bleeding, and to make your lipstick last longer. The final step is to apply the lip colour itself. Whether it be a lipstick, a lip tint or lip gloss, it’s always a good idea to start with a lip liner in the same shade. This will give you a more even and long-lasting colour. The result? Smashing lips that look great all day long!